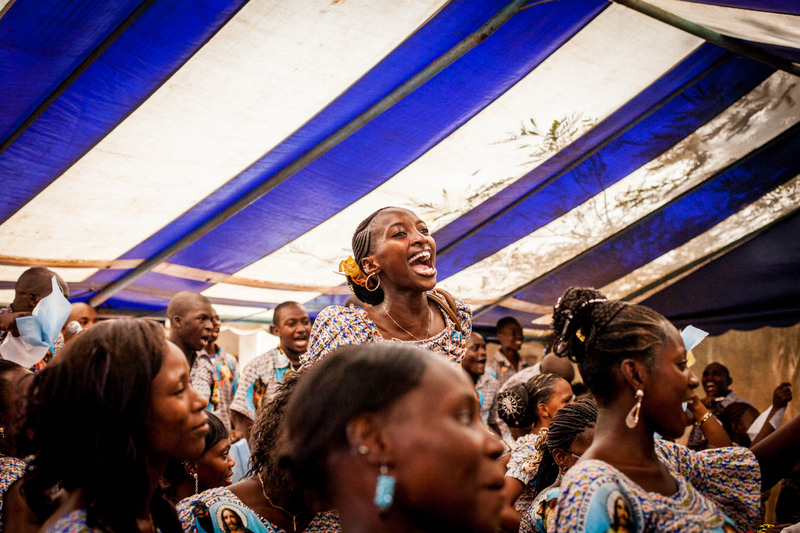 A Christian woman sings at the top of her lungs in the compound of the Cathedral in Bamako on a Sunday service. Christians make up a five percent minority in a country that is 95 percent Islamic. 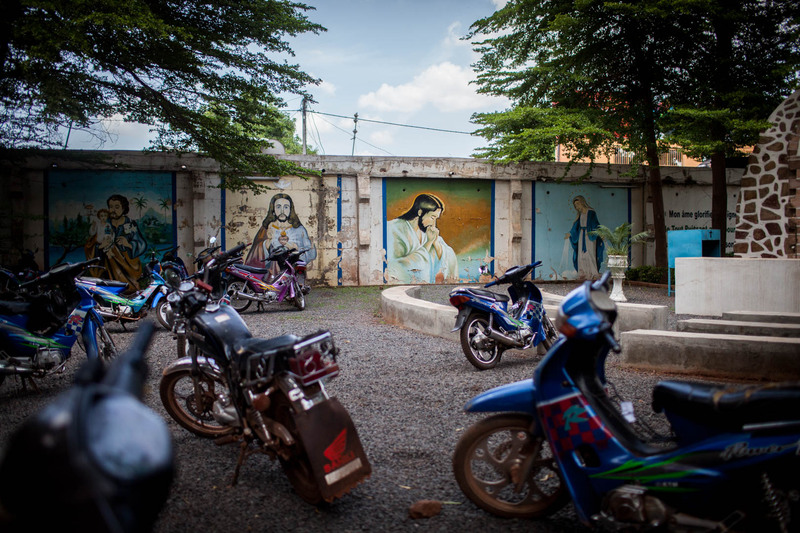 Scooters in the backyard of the Cathedral in Bamako, Malis capital. Many people of Malis small Christian minority came to the capital, in order to find safety and refuge from the Islamists in the northern areas of the country. 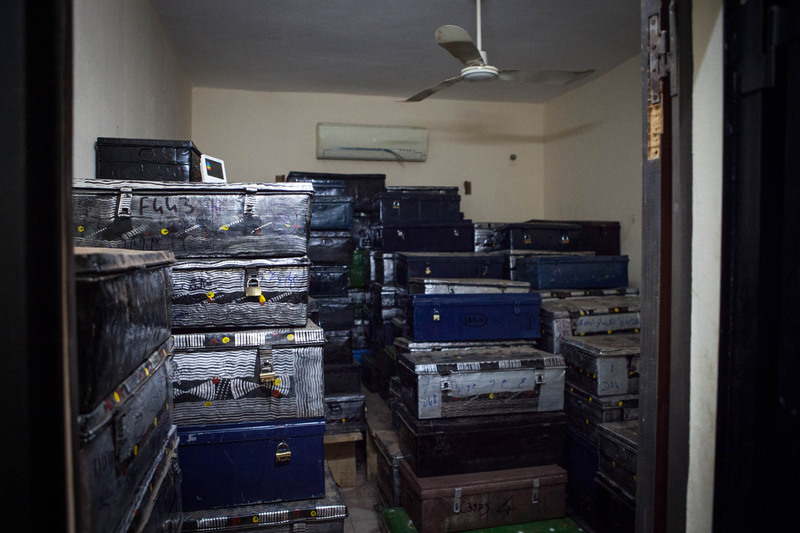 The Islamic manuscripts of Timbuktu in a storage facility in Malis capital, Bamako. 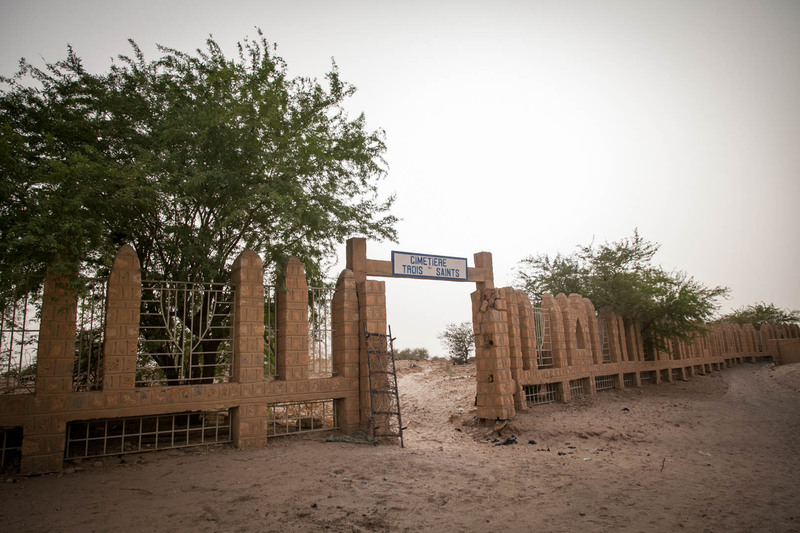 When Ansar Dine and other Islamist rebels drove the Malian government out of major Malian cities in the desert, they had to be evacuated because the museums were concerned about their safety. 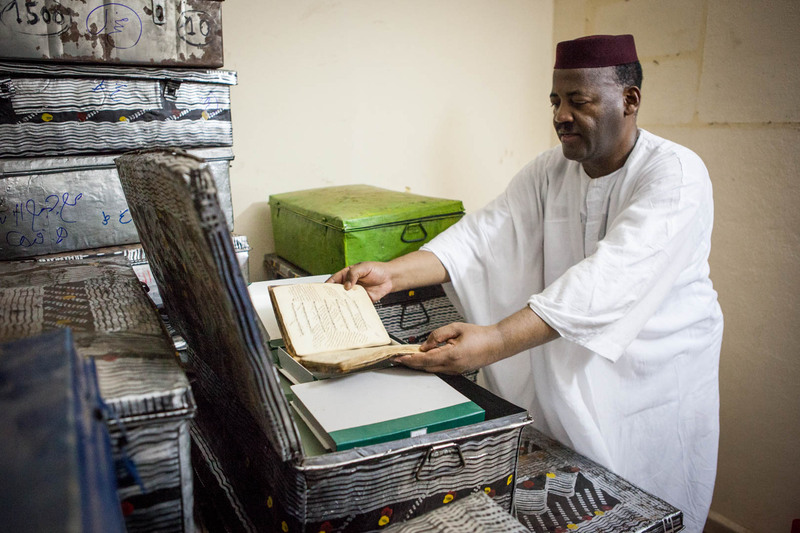 Abdel Kader Haidara, the head of the Haidara private Library in Timbuktu, checks the condition of a manuscript in their storage room in Bamako. 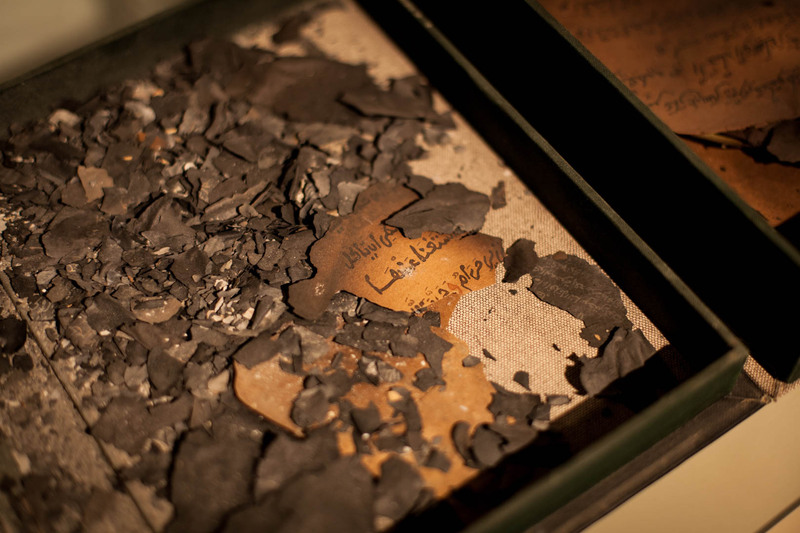 He was a major figure behind the exodus that the manuscripts from Timbuktu went through. 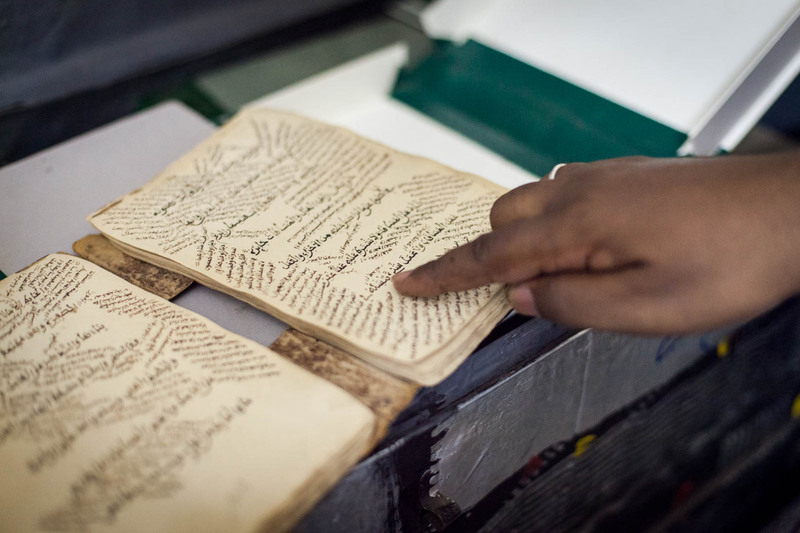 Abdel Kader Haidara points his finger on a document that used to be stored in his library in Timbuktu. The main figure behind the exodus of the documents says that as a Malian it was his duty to do his part in saving Malis cultural identity. A worker in Abdel Kader Haidaras private organisation carefully separates pages from a manuscript in order to have them photographed. Germany and other countries have given hundreds of thousands of dollars so that these manuscripts that have been stored in Malis desert for centuries can finally be made available to the public for research. 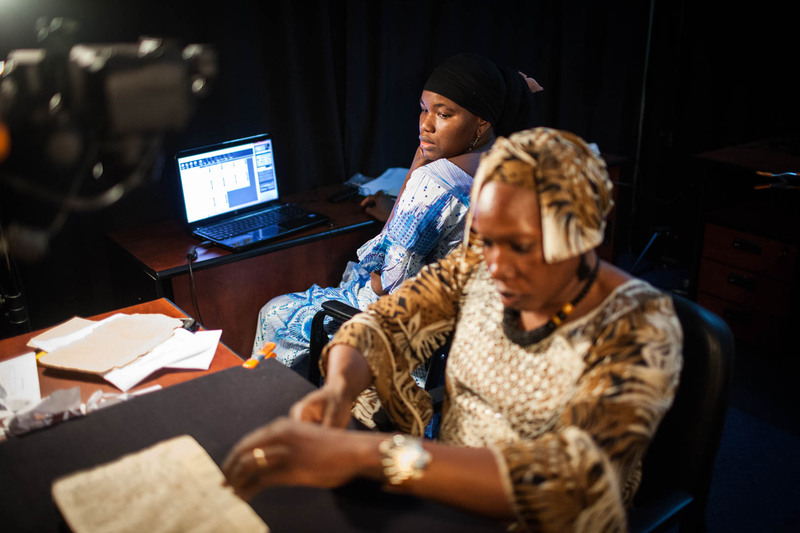 Two female restorers prepare a manuscript for archiving in a facility in Bamako. 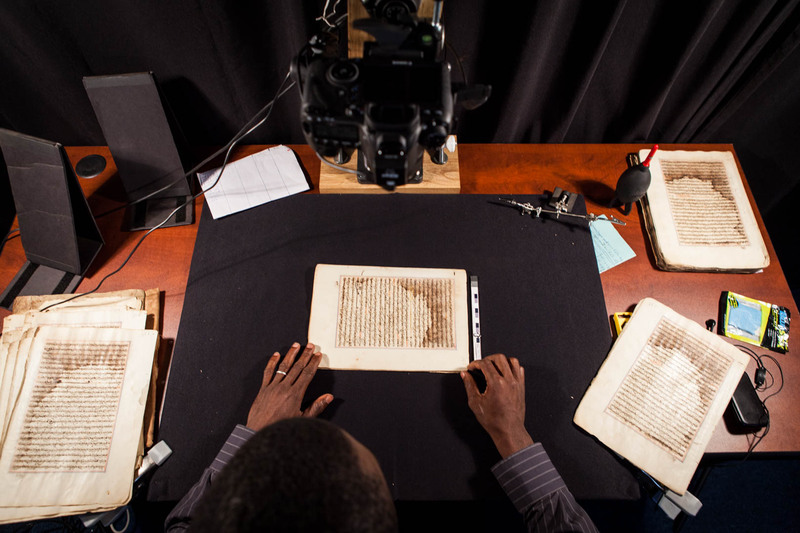 A manuscript from a library in Timbuktu gets photographed and archived. 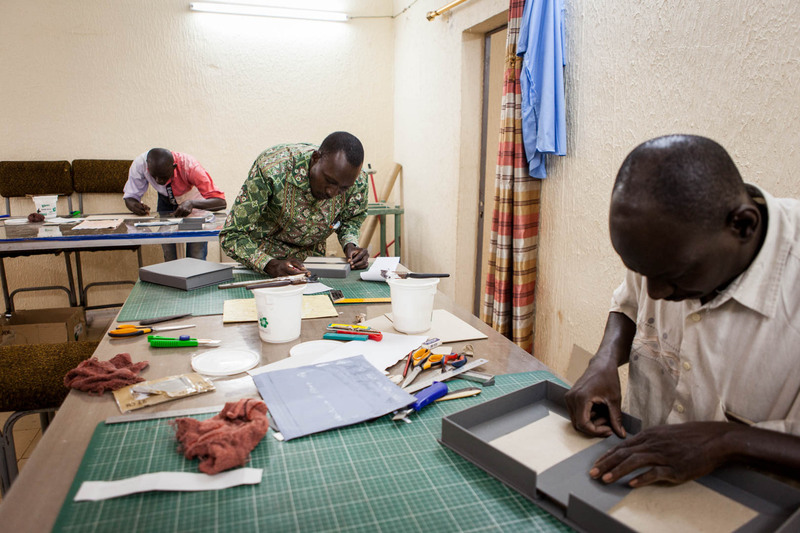 Three workers are manufacturing custom-made dustless cardboard boxes for each individual manuscript in order to be stored indefinitely and to avoid further decay of the manuscripts, of some are hundreds of years old. 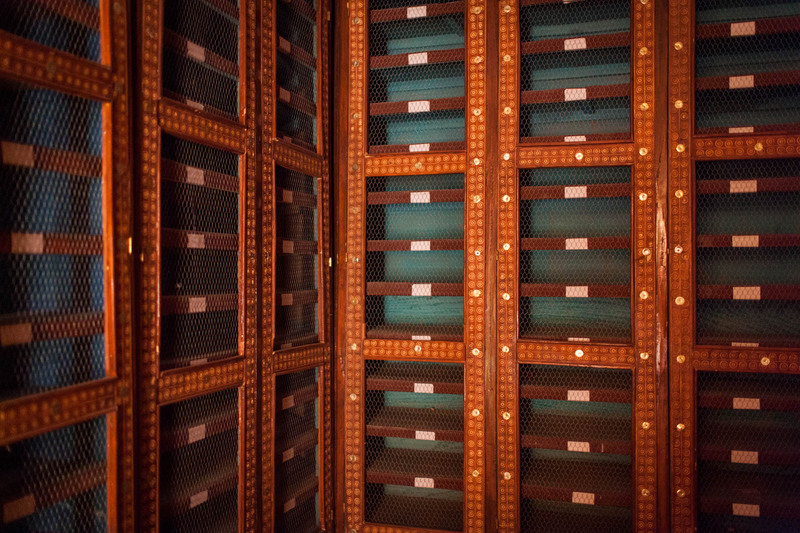 An empty library shelf in Timbuktu. The contents have been transferred to Bamako. 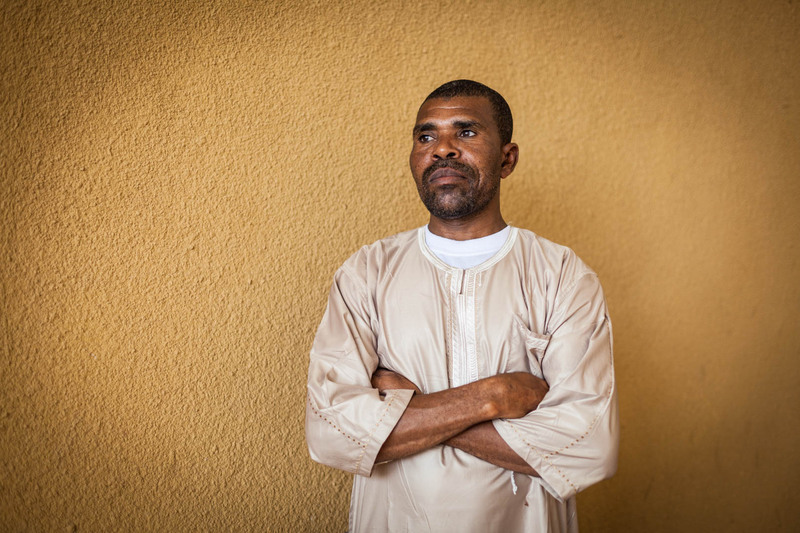 Mohammad Abdi, a smuggler involved in the process of transferring the documents of Timbuktu out of the cities main museum, when the Islamists took over the city and endangered the preservation of the manuscripts. Not all of the documents could be saved. About 7000 pages were burnt and irretrievably destroyed. The local Islamist group, Ansar Dine, did this mainly to show UNESCO and other international NGOs, that they could do whatever they wanted to. The Imam of the Djingere-ber mosque in Timbuktu walks thorugh the main prayer hall of the mosque.The three big mosques of Timbuktu feature a unique clay architecture and are protected UNESCO world-heritage sites in Mali. The courtyard and the minaret of the Djingere-ber mosque in Timbuktu. The city at the edge of the Sahara used to attract thousands of annual tourists from all over the world before the war. 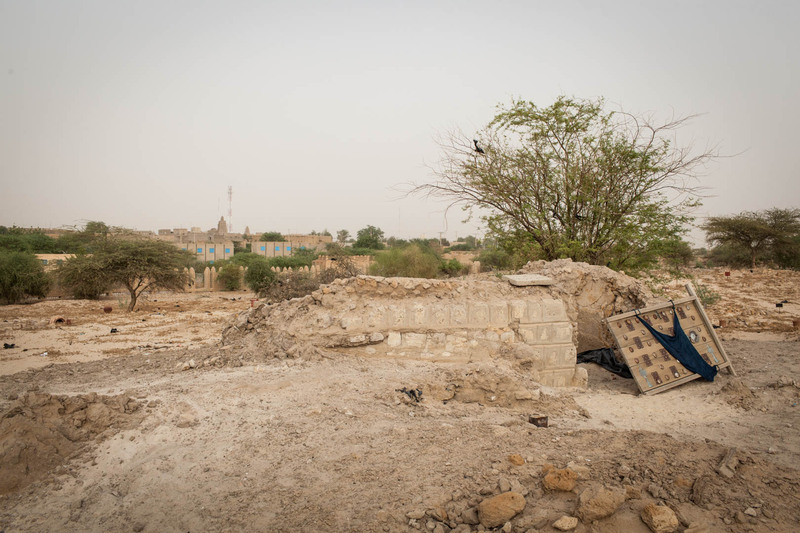 The grave of three locally admired saints have been destroyed at Timbuktus main cemetery, because Ansar Dine said that in Islam it is not allowed to worship anyone next to God. The entrance to Timbuktus local cemetery. 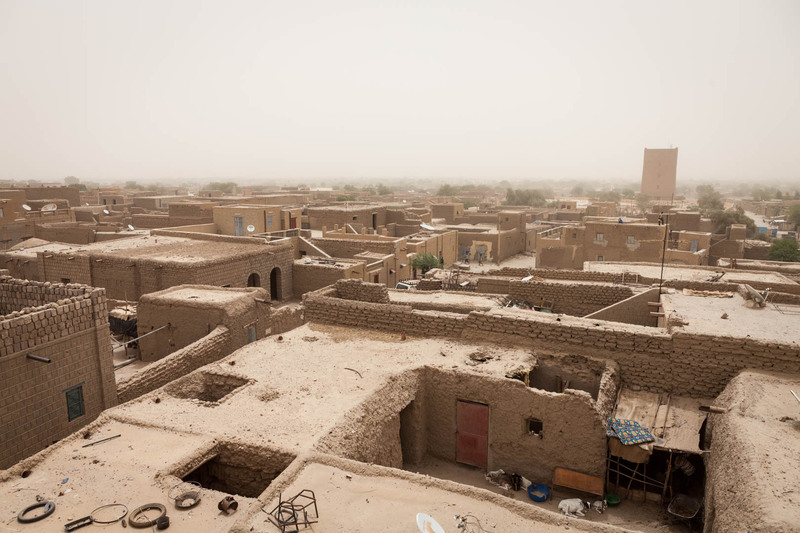 A general view over Timbuktu. Timbuktu has not only been deprived of its economical values when it lost its status as important trading city. 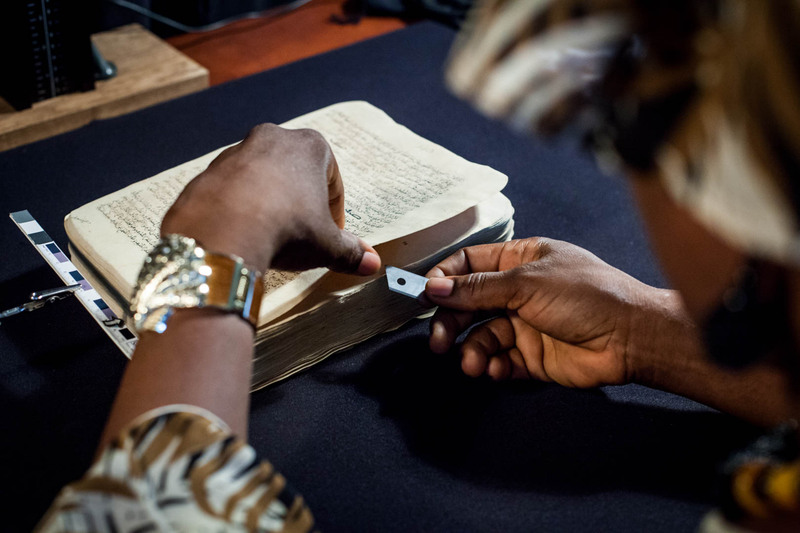 Now with the manuscripts in Bamako, it also lost its cultural identity. 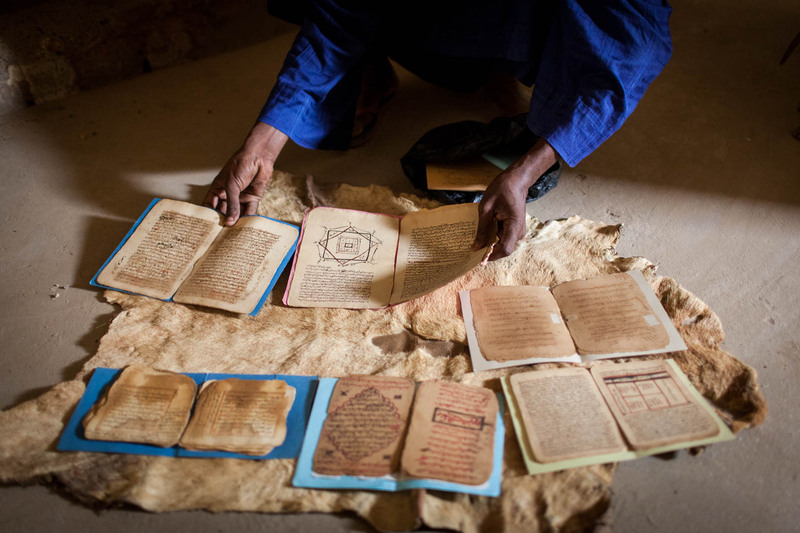 Timbuktu has dozens of small private libraries, some only being roughly a dozen pages of ancient manuscripts inherited from the great-grandfather. 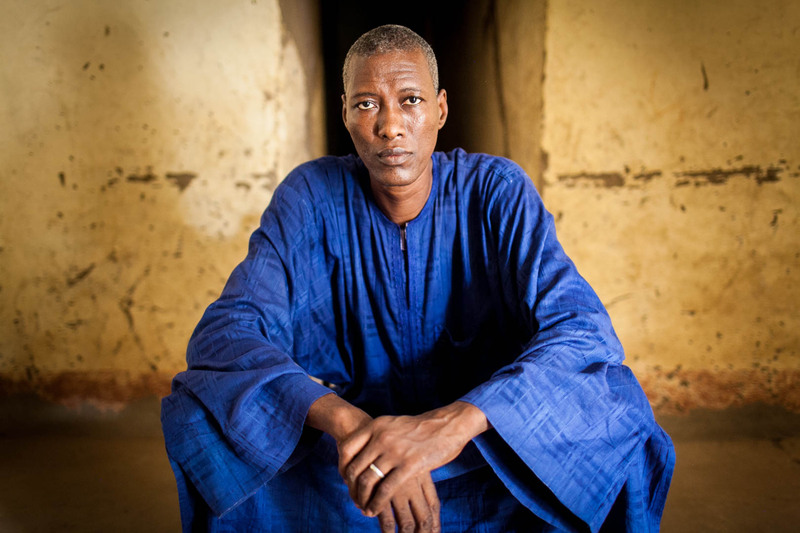 A local man from Timbuktu that is still in possession of manuscripts that his family inherited a long time ago. He wishes to keep them rather in his family than to add them to the documents stored in Bamako. 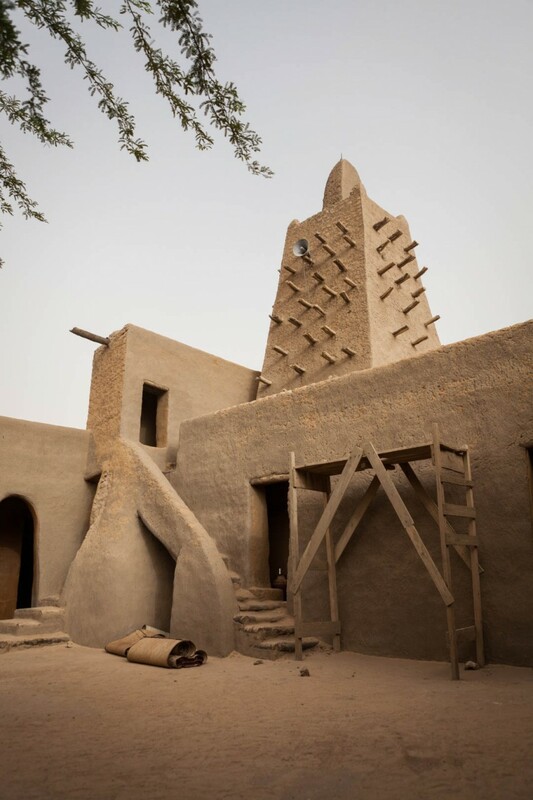 The compound of the evangelical church in Timbuktu. Malis desert capital used to have a tiny Christian minority before the Islamist rebels came from the desert, now the church is deserted. 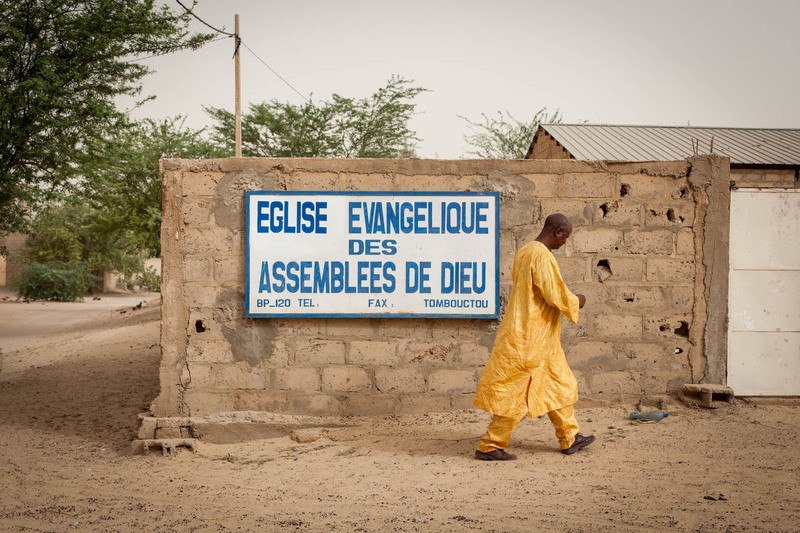 All the Christians fled to Bamako, with the priest now out of both job and congregation. 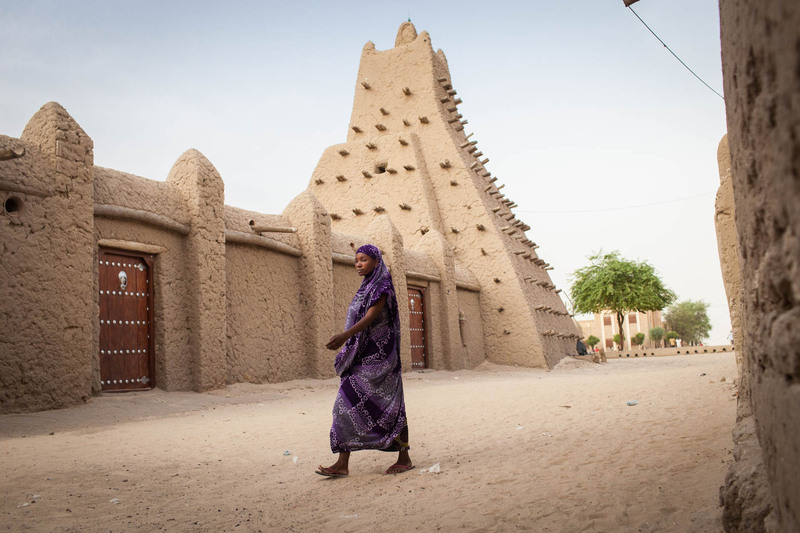 A Malian woman walks next to the Sankore mosque, one of three clay-built mosques in Timbuktu being recognised as UNESCO world-heritage sites. They have been left unharmed by the Islamist groups. When Libya’s government was unable to control the borders during the civil war in 2011, it was Christmas for the bad guys. Many Islamist groups like Al Qaida in the Maghreb (AQIM) or Ansar Dine finally had the armoury to get out of their desert hideouts and jeopardize the stability in the whole region. 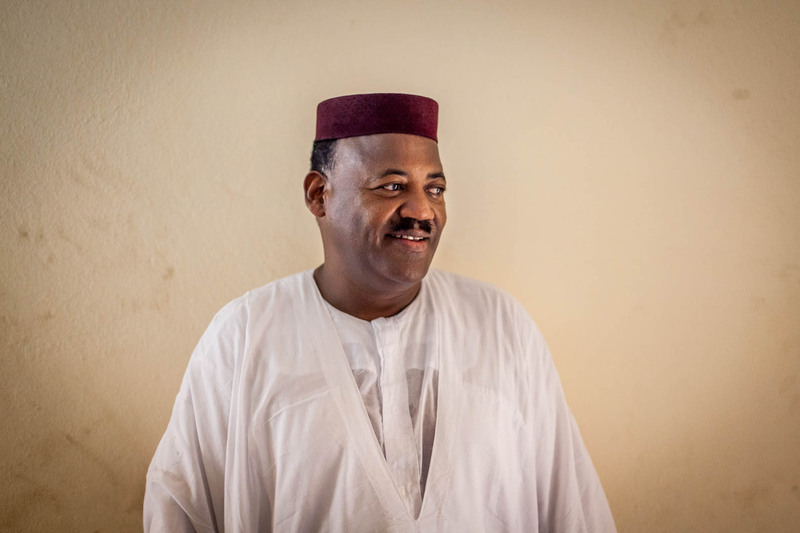 By late 2012, Ansar Dine took all cities in the Northern part of Mali and was about to conquer the rest of the poor country, when ultimately in January 2013, the French army came and restored order. But the radical Islamist group altered the whole cultural image of the country. 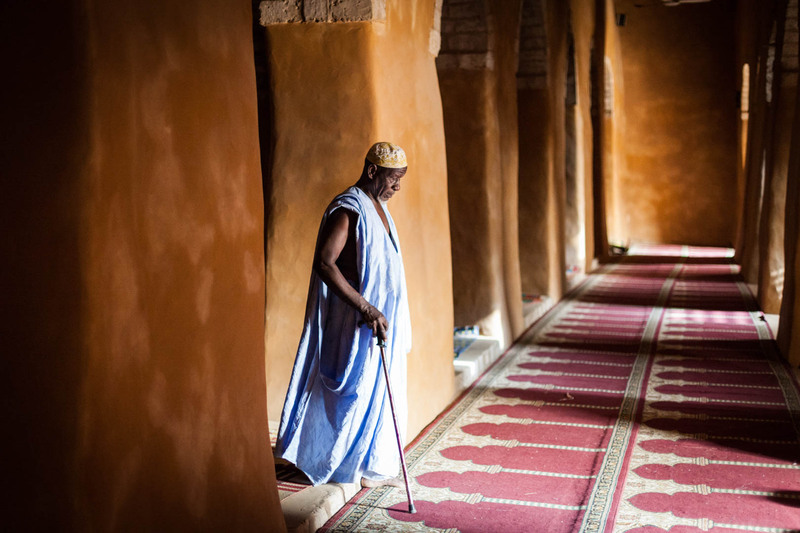 The Christian minority turned their back on the North, and the city of Timbuktu, once called “Jewel of the desert” and the home to hundreds of thousands of Islamic manuscripts, lost all of its culture. Shortly before Ansar Dine took control of the city, and even during the occupation, a secret operation went under way to collect all the manuscripts and smuggle them to Mali’s capital Bamako. The city didn’t only loose its economical prospect, but also its entire Christian and cultural identity. It remains unclear, if any of them will ever return.